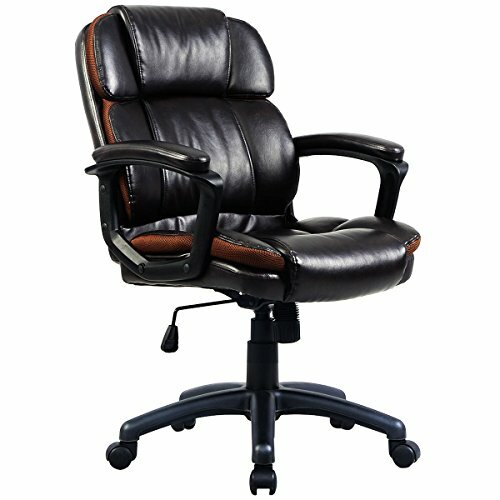 Adjustable seat height:18.1" - 22"
Adjustable Seat: Adjustable Seat Height For Best And Comfortable Sitting Posture . Height Adjusted By Pneumatic Gas Lift, Adjustable seat height:18.1" - 22"
Ergonomic Posture Support:360 Degree Swivel Wheel And Chair Can Be More Flexible In The Working Space. Overall dimension:24.4"x 28"x37.4"-41.3",Tested For:120-150 Kg(264-330lbs) Dynamic State, Backrest size:19.3" x19.3",Seat size: 19.7" x18.5"
Package includes:1 x office chair, Easy To Clean, Easy Assemble is Required.